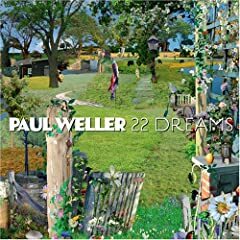 Former Jam and Style Council frontman Paul Weller releases his latest solo effort, 22 Dreams, stateside tomorrow, a disc that features guest appearances by Noel Gallagher, Graham Coxon, and others. Other albums I can strongly recommend include the Avett Brothers' Second Gleam, Benji Hughes' debut double album A Love Extreme, Bodies of Water's A Certain Feeling, Faun Fables' A Table Forgotten EP, Helena Espvall and Masaki Batoh's self-titled album, and PAS/CAL's Raised on Mathew, Mark, Luke & Laura. For the literary minded indie rock fan, Chamber Music: James Joyce collects Mercury Rev, the Minus 5, Kinski, and others interpreting James Joyce's 1907 collection of poems. Best of Janis Ian - The Autobiography Collection, also available tomorrow, can be sen as the soundtrack to the singer-songwriter's autobiography, Society's Child (out Thursday, look for a Largehearted Boy Book Notes essay from Janis Ian then). The 9 4AD remastered SACD albums by Dead Can Dance share the reissue spotlight this week with remastered editions of U2's Boy, October, and War (all available as single CDs, with bonus CD, and on vinyl). Julie Doiron's Loneliest in the Morning, an album I truly adore, is also reissued this week with bonus tracks. Jay Reatard/ Deerhunter: Split 7"